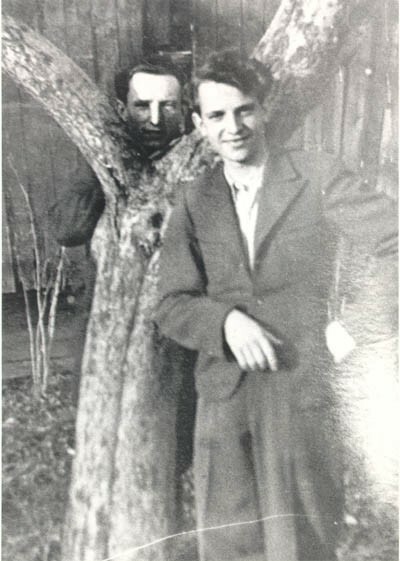 Tadek Soroka (right), a Pole who helped Aron and Lisa escape from Poland. This photograph was sent to the Dermans after the war. Date and place unknown.